NEW DELHI, Jan 30: President Ram Nath Kovind, Prime Minister Narendra Modi ,Congress President Rahul Gandhi and other prominent politicians paid their tributes (or was it lip service?) to Mahatma Gandhi on his death anniversary. In twenty-first century style, they tweeted their tributes. “On Martyrs’ Day, we gratefully remember Mahatma Gandhi and the countless freedom fighters who sacrificed their all for our Independence,” the President tweeted. Sharing a quote by Gandhi, also called the Father of the Nation, Congressman Rahul Gandhi paid tributes to the leader of the Indian independence movement, who was assassinated by one Nathuram Godse on this day over half a century ago. 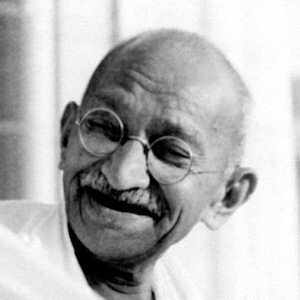 “The greatness of a nation and its moral progress can be judged by the way its weak and vulnerable members are treated,” Gandhi (the Congressman, not the late Mahatma )tweeted. Chief Minister of Delhi Arvind Kejriwal and West Bengal’s Mamata Banerjee also paid homage to Gandhi. “Let us not forget the fact that it is the hatred bred by the fundamentalist ideology of the Sangh that took away Bapu. Let us also not forget the fact that it is the same ideology that is staring at us with its ugliest face yet, now,” Kejriwal tweeted. Gandhi, a world figure and advocate of peaceful and unarmed resistance, is both revered and reviled in multi-dimensional India. Nevertheless he remains a towering figure in the modern history of India.